Jill loves to construct the quilts mostly by machine but that doesn’t mean no hands on, Jill is involved in every aspect of the quilt top construction, from designing to cutting and piecing, leaving the longarm quilting to Jamie. 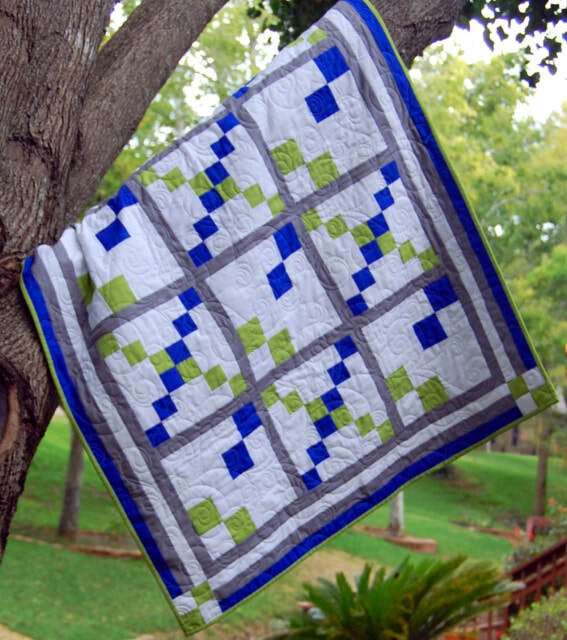 They both enjoy making high quality one of a kind quilts for clients, family and friends. ﻿As well as writing several PDF quilting patterns each year they co-wrote their first book titled Sewing Accessories at Home and on the GO published in 2013 by Annie’s Publishing. They are currently collaborating on a project with Martingale Publishing. They have designed patterns for RJR Fabrics, Dear Stella, Moda Fabrics and Mona Luna Fabrics. Jamie and Jill are especially proud of the “Thread Cutter” a must have notion for quilters who chain piece. Copyright 2004 - 2019 Sunflower QUILTS. All rights reserved.